Happy Monday! I hope you had a fantastic week! It was a week of many reviews here on The Relentless Reader, yay! The 100 Year Old Man Who Climbed Out of the Window and Disappeared by Jonas Jonasson This was so stinking good! The next two books I started were duds in comparison and ended up being DNFs for me! Have a jolly week! Cheerio! Charlotte and Emily looks fabulous :) Hope it was a wonderful read! I hope it will be ;) I'll be reading it soon! 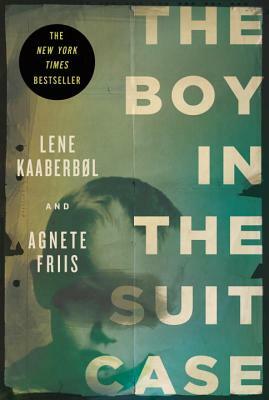 I enjoyed The Boy in the Suitcase, hoping to get to the next in series before end of year. I am still thinking about your review of Why Have Kids, a must read for me. Ohhh! I didn't know it was a series! Hmm. I do hope you get to Why Have Kids...I'd really like to hear your thoughts on it. You are in for a treat with The Uncommon Reader. That's what I keep hearing, I sure hope so! The Boy in the Suitcase is on my wishlist. Two weeks ago I had to take a break from this meme. Our one year old tuxedo cat had gone missing. It took us ten days to find her. Please come see what I'm reading now. Oh my! I'm glad you found her :) One of our cats takes a little vacation from us now and then and it always makes me nervous! I'm so glad you enjoyed the One Hundred year Old man as well. I thought it was awesome! Wasn't it though? It was so fun! Good for you Wendy, just relax and enjoy ;) That's the way we should always read, without thinking of the stacks waiting for us! Charlotte and Emily is a must read for me - can't wait for your review! Also The Boy in the Suitcase should be fantastic. Boo on the 2 DNFs. I get the same way at my library - I really have to resist temptation and now only order 2 books at a time ... in theory. I've been hearing a lot about The Uncommon Reader and I really am intrigued. The Boy in the Suitcase also looks mighty interesting. Unusual titles you have here, would love to know what you think about them once you have your reviews up. :) I know what you mean about requesting too many books from the library, I stand guilty as charged as well. I think I heard about The Uncommon Reader first from an article on Flavorwire, but since then I've seen it around the blogosphere quite a bit. I'm looking forward to it. Loved Uncommon Reader! Wish it was a true story! The Uncommon Reader and Charlotte and Emily sound so good! 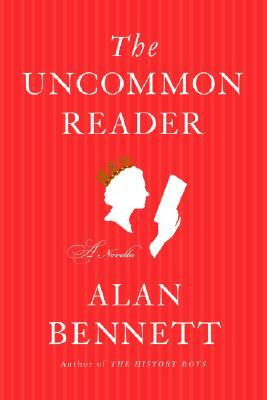 I am especially intrigued by Uncommon Reader. I am looking forward to your review! I've had a few duds lately so I'm really looking forward to these! 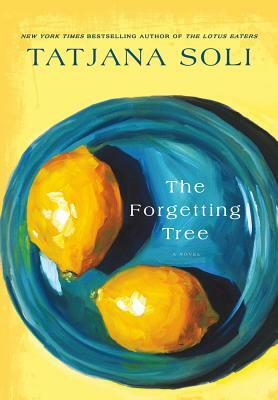 Love the cover and premise of The Forgetting Tree. Enjoy! I've only heard good about The Uncommon Reader, and I seem to remember hearing that Charlotte and Emily isn't bad either. Enjoy! Same here Charlie, and I'm looking forward to the both of them! It's an illness I tell you! LOL, we're powerless! The Boy in the Suitcase sounds intense! It is one of those that I am not sure I can bring myself to even read. Can't wait to see your review. An executioner and love stories..well that doesn't sound like something that normally goes together, lol. I can't wait to hear what you think of it! How are you liking Ape House? I'll wait to see your review of that too! LOL I hear you on the library issue. I always bring home way more books that I can get read in the 3 week check out period, but that is what renews are for! AND my request books always come in together too! The Foregetting Tree is one of those requests. ;o) Have a great week of reading. I just put holds on The Uncommon Reader and The 100 Year Old Man Who Climbed Out the Window and Disappeared. Both sound great! Oh good! I hope you enjoy them! I'm really looking forward to reading The Uncommon Reader and I LOVED The 100 Year Old Man so so much! I have heard some really great things about the Boy in the Suitcase. Interested to see your review! Thanks ;) Now, if only you bloggers would stop talking about great books! ;) I blame you and your ilk! Congrats on the new design! 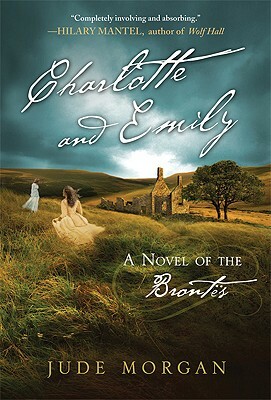 I have had the Charlotte and Emily book for awhile.. I need to get to that someday so I will look forward to your thoughts. 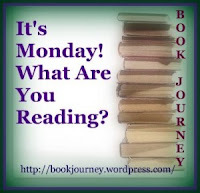 Here was my Monday post. I'm looking forward to reading The Uncommon Reader too.